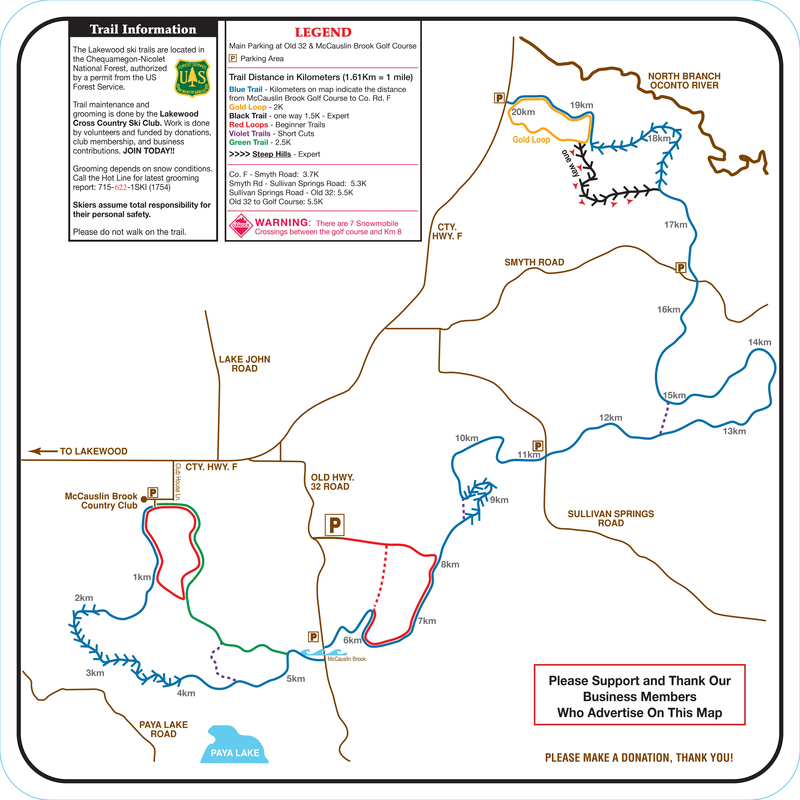 View the Lakewood Cross Country Ski Trail Map for the 2016-2017 season. Parking information can also be found on this map. We are located just north of Lakewood, Wisconsin. We have several locations for parking, including the McCauslin Brook Golf Course parking lot. Check out the latest grooming reports, grab your gear and head out to our trails! We are excited for you to ski with us and hope you would consider becoming a club member, if you are not already.